Proline Pipe Equipment is an international leader when it comes to Oil & Gas pipeline equipment and solutions. With headquarters based in Edmonton, Alberta, Canada, Proline offers a wide range of quality products to our customers here at home, as well as across the globe. Since 1967, our dedication to innovation, dependable craftsmanship, and unbeatable customer service have set us apart from competitors. Learn more about our products, including the Victor Cutting Torches, as well as our many service offerings below. Proline Pipe Equipment Inc. is pleased to offer a diverse inventory of pipeline solutions, including products manufactured at our Edmonton location, as well as top offerings from industry leaders like H&M, Victor, SPY, and more. Our catalogue includes: pipe benders, cutting and beveling tools, coating products, link seals and wall sleeves, welding equipment, pumps and plugs, pre-heating equipment, and many other options. For those in need of beveling and cutting tools that provide maximum precision, Proline has plenty of choices available. In addition to our cutting and beveling machines (which boast the fastest speeds on the market), we proudly carry Victor cutting torches. Designed for minimal turbulence and accurate cut quality, Victor cutting torches feature a straight forward design that guarantees optimal performance. 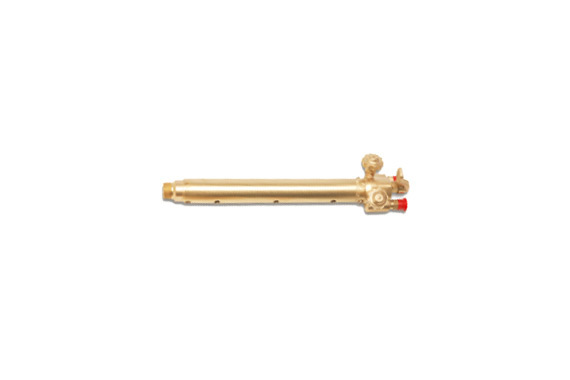 Crafted from rugged brass, both the body and head are built for maximum strength, and each torch features accessory reverse flow check valves for added safety. For the best in handheld precision, Victor torches are a preferred choice! Have unique specifications you need met? Our team can customize any piece of equipment manufactured by Proline, including pipe bending machines to mandrels and clamps and more. Rest easy with our after-hours service for emergency needs. Proline’s technicians are available for assistance anytime, anywhere. Proline is an authorized warranty and service depot for the majority of the pipe equipment and supplies we distribute, including Metrotech, SPY, H&M, Victor, Reed, Sawyer, and more. Our team of trained service technicians are available for onsite training to ensure your personnel are familiar with your new equipment and are able to drive optimal results. In-house training is also available at our Edmonton location upon request. Looking for the best pipeline solutions on the market? We can help. Contact our team to learn more!